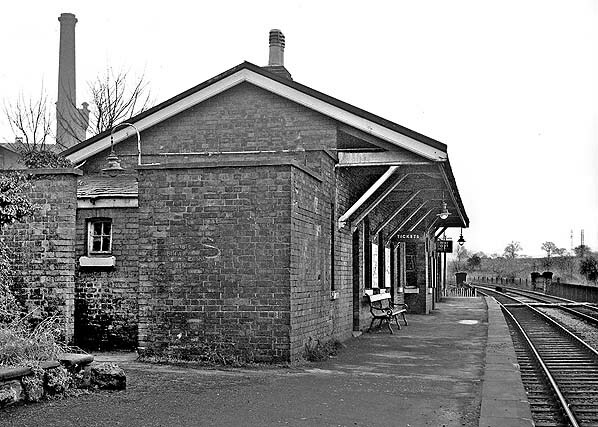 Bollington station looking north in the late 1960s. 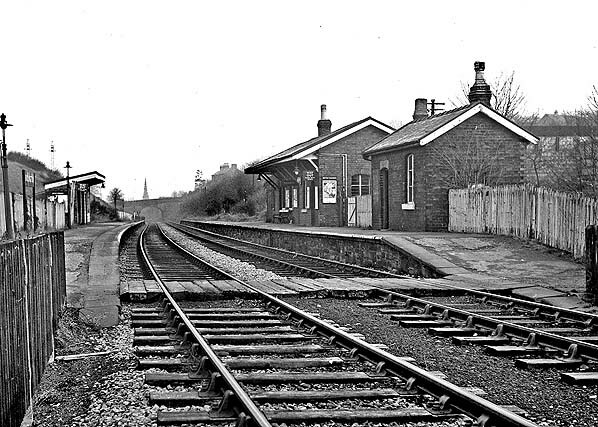 Bollington station looking south along the up platform in 1969. 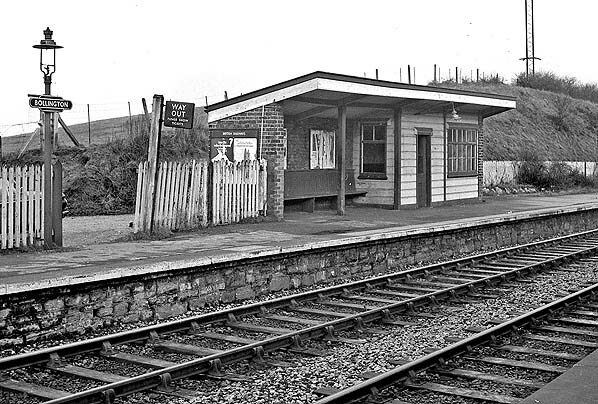 The down platform waiting facilities at Bollington seen in 1969. 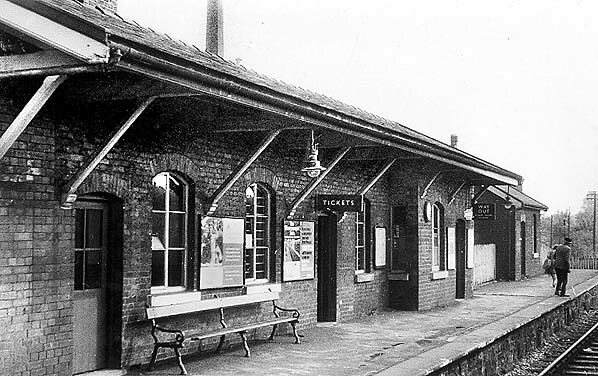 The main facilities at Bollington station were on the up platform. They are seen in this view from a passing train in August 1969. 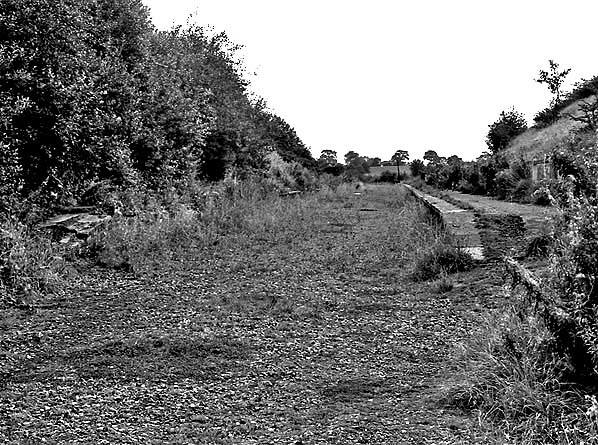 Bollington station looking south in August 1975. 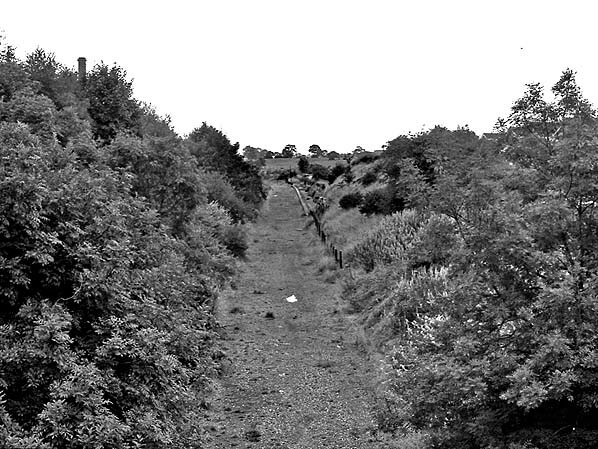 Looking south from Hawthorn Road bridge towards Bollington station in August 1975. 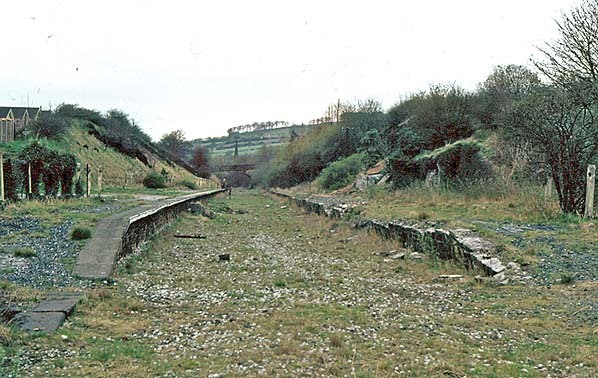 The platforms at Bollington could still clearly be seen in this view looking north in April 1976. Looking south at the site of Bollington station on 6 November 2010. 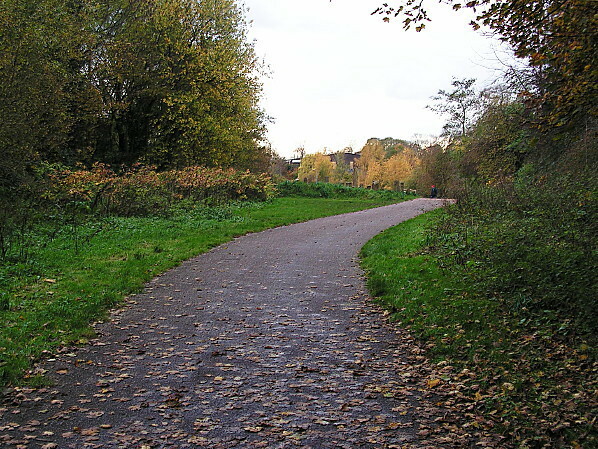 In 1984 the station site was landscaped as part of the Middlewood Way.